Online registrations for the ePortfolios Australia Conference 2011 (EAC2011) have now closed but places are still available. If you would like to register for the conference please contact Allison Miller. For more information contact Allison Miller. Whether you are staying in Perth city, Fremantle or in one of the suburbs neighbouring Curtin University, such as Como, you may need to access public transport to reach the conference. Visit the Transperth website for timetables and other public transport information. 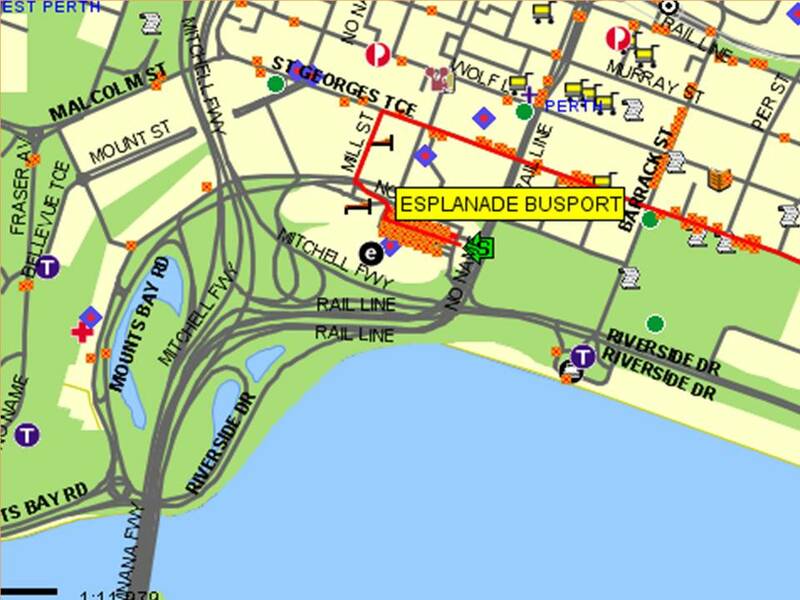 From the City :Bus routes 72 and 75 leave from the Esplanade Bus port in the city and take roughly thirty five minutes to reach Curtin University in Bentley. From Como: Bus route 100 leaves from Henley St /Canning Hwy, Como (Stop No: 11954) every few minutes in peak periods to Curtin University Bus Station (Stop No: 11696). Allow a ten minute walk and fifteen minute bus ride. 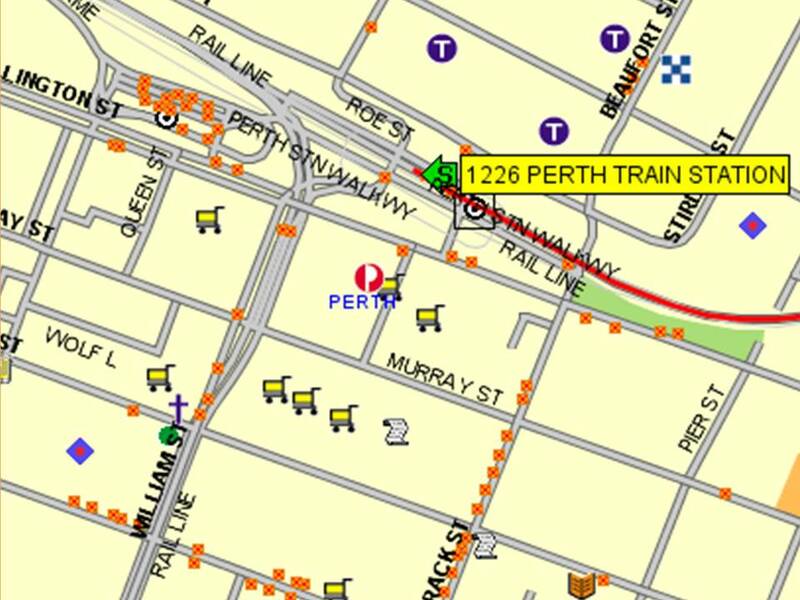 By train from the city to Curtin University, take the Armadale line from Platform 5 at the Perth train station (on Wellington Street) to Oats Street station; then take the 98 route bus from Oats Street Bus station to Curtin University. Allow roughly forty minutes for the journey. 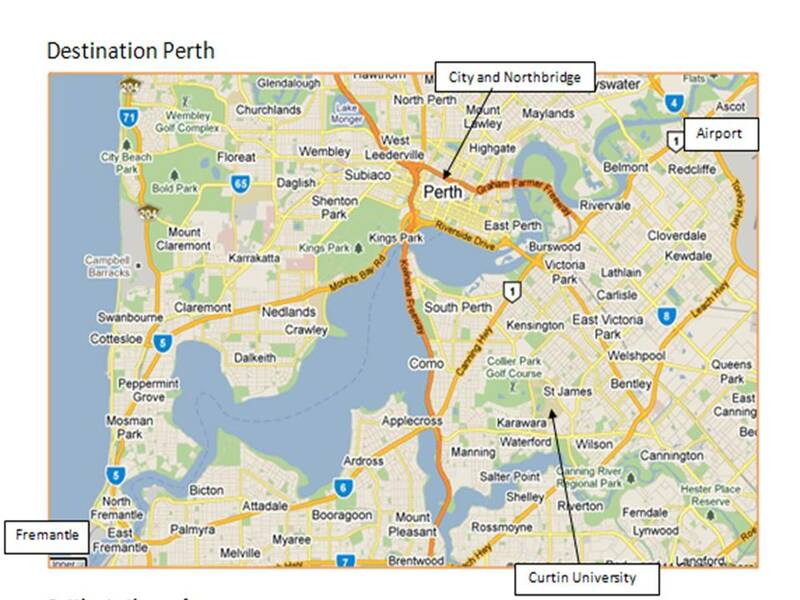 The journey from Fremantle to Curtin University takes roughly an hour using public transport. Check the Transperth site for service options. Taxi Service: Call Swan Taxis – 131330 or Black and White Taxis – 131008. Check the wait time, which can exceed half an hour during peak periods. 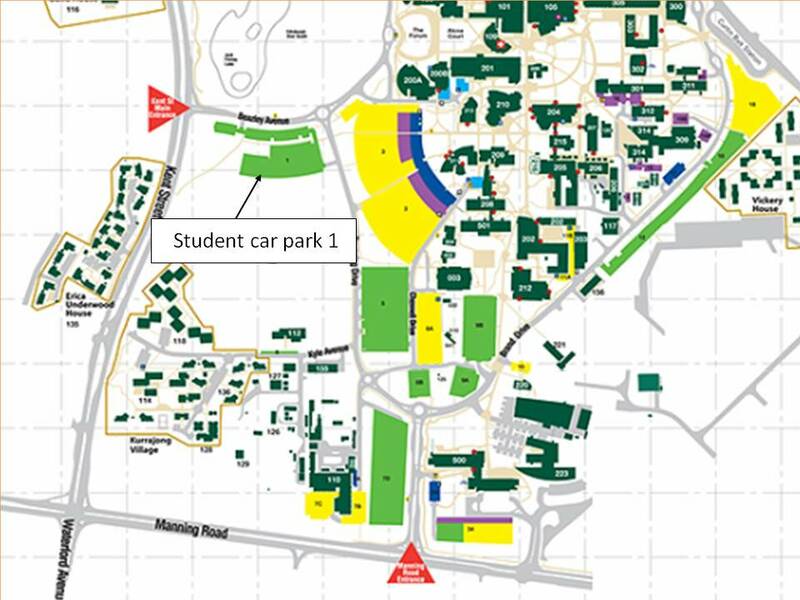 Car parking: Access the green student parking area number 1 off Kent Street, where free parking is available during the conference, which falls in a non-teaching week. Fines will be issued by Curtin security staff if you park in a yellow staff parking bay. The conference venue, Tim Winton Theatre, is shown by a red asterisk. You are strongly encouraged to book your hotel early because Commonwealth Heads of Government Meeting (CHOGM) will be held in Perth in the week following EAC 2011. Some hotels may request passport identification due to security arrangements for CHOGM delegates. Several hotels are offering discounts for EAC2011 delegates. It is recommended you telephone in office hours WST to book directly with the hotel, and mention the conference. The discounted tariffs will not be available online. There is a limited number of rooms available at the discounted rates. Deluxe Studios are available at $199 per night, or Executive One Bed Apartments for $239 per night. Just ten minutes from Curtin University, the Esplanade River Suites is located south of the city and alongside the Swan River. Queen Hilton Guest Rooms are offered at $329 per night by quoting the code GCUR at the time of booking, by contacting the Group reservations Manager Catherine Kamp on (08) 9215 2403 or e-mail Catherine.Kamp@hilton.com. The Parmelia Hilton is located in the CBD next to the Convention Centre, just a five minute walk from the Esplanade bus port. Queen Studios (standard rooms) will be available at $199 per night for 19th and 20th October, however this rate increases to $369 from 21st October due to CHOGM 2011. Breakfast costs $20. The Mantra on Murray offers contemporary and affordable accommodation in the CBD, ten minutes walking distance from the Esplanade bus port. Click here to view a map of accommodation options near Curtin University. Just wondering if there will be a shuttle service available to and from the conference venue, or if we will be required to arrange our own transport?? Hello Natalie. Unfortunately we won’t be running any shuttle services to Curtin University. See the above information on “Getting to the conference” for information about pubic transport and taxi services.